We’re proud to be a family run business. And we think you'll like it, too. Dave and Sheryl Steinman decided to build a scavenger hunt in their basement for a family holiday activity. A few hours of fun and a long email chain later, the family decided they were ready to step up their puzzle game and go pro. After opening in 2016, the Steinman family has seen thousands of friends, families, and co-workers get in on the action. Their passion is creating great games and they are thrilled to share it with everyone who comes to Missing Pieces! 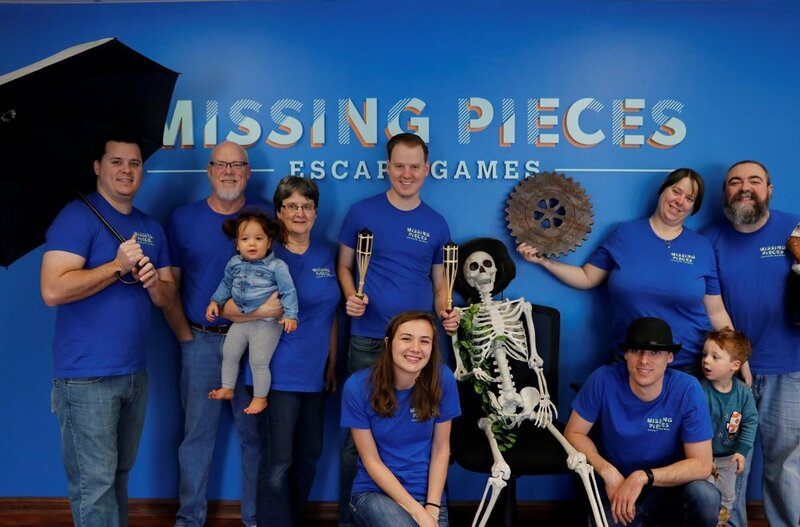 Missing Pieces Escape Games is owned and operated by the Steinman family. Locally grown in the Twin Cities, the team of parents and siblings has been puzzling and gaming together for 3 decades.